Read this message I received from one Dunker Punk who was excited to see our new Action page, and wanted to offer a story of something small that she does. I really enjoyed this message, because I think it sums up exactly how the Mustard Seed Revolution is supposed to work. Through small acts of devotion that express Jesus’ love, together we can make a big difference in our own lives, in the lives of those around us, and in the entire world. Remember, our actions don’t have to be huge to be radical. Can I share with you something I have committed to do to help the situation with Israelis and Palestinians? I know it is nothing much, but several years ago, I committed to using only olive oil bought from SERRV in my house. 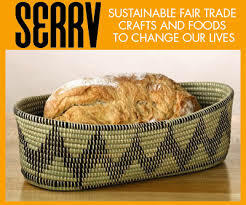 I don’t know if you are familiar with SERRV, but it is an organization started by the COB after WWII to help refugees support themselves and earn a living.Now they work with people in developing countries and some here in the US to provide work for them so they can support their families with dignity. I found out a few years ago that there is a group of Israeli and Palestinian woman who formed a group working together and they sell olive oil. Sindyanna of Galilee was established as nonprofit organization in 1996 to work with the Arab population in western Galilee. Founded and managed by women, Sindyanna’s uniqueness is that it works in partnership with Israelis and Palestinians, and that it combines commercial activity and community work. You can find out more about them at the SERRV website. Look under food, spices and snacks and it will be labeled organic olive oil. Their information is listed there. It is first class olive oil, organic, and supports these women. I know it is not much, but it is something. If you want more ideas for how you can make a difference as Dunker Punks, visit our Action menu! If you have a story you want to share about a small, radical step you have taken to live more like Jesus, send us an email, or create a Dunker Punk profile!